The Vivo Y71 32GB Gold features a 6-inch touchscreen display with a screen resolution of 720 x 1440 pixels. It runs on the latest Android version v8.1 (Oreo). The Vivo Y71 32 GB Gold RAM is 4GB. As far as the Vivo Y71 32GB Gold battery life is concerned, it has a long battery life as it is powered by a 3360mAh battery. What are the different connectivity options available with the Vivo Y71 32GB Gold? The Vivo Y71 offers connectivity options such as Wi-Fi, GPS, Bluetooth, USB OTG, FM, 3G and 4G. What is the camera configuration of the Vivo Y71 32GB Gold? Which SIM type does the Vivo Y71 support? The Vivo Y71 supports a micro-SIM. What documents do I need to submit to buy the Vivo Y71 32GB Gold on EMI? Customers need to submit only a few document documents such as an ID proof, an address proof, and a cancelled cheque. Also, an ECS mandate has to duly signed by the customer. 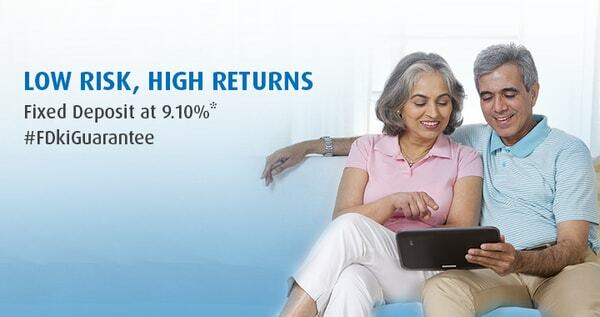 Yes, Bajaj Finserv offers its customers No Cost EMI on some products. The Vivo Y71 32GB Gold smartphone was launched in April 2018. The Vivo Y71 32GB Gold features a 6-inch touchscreen display with a resolution of 1080 pixels by 1920 pixels. Furthermore, it is powered by a 1.4GHz quad-core processor and comes with 4GB RAM. The phone comes with 32GB internal storage that can be expanded up to 256GB. As far as the cameras go, the Vivo Y71 32GB Gold's camera (rear) has a resolution of 13MP. The front camera, on the other hand, has a resolution of 5MP. The Vivo Y71 32GB Gold runs on Android Oreo and is powered by a 3360mAh non-removable battery. The Vivo Y71 32GB Gold price is under Rs. 15,000. Additionally, the Vivo Y71 32GB Gold benefits those planning to buy a feature-rich mid-range smartphone. A network of more than 60,000+ stores across the country has made Bajaj Finserv one of the leading financial service providers in the country. If you are planning to switch to a new smartphone, Bajaj Finserv would take you a step closer to buying your next smartphone. You can visit your nearest Bajaj Finserv outlet to get your loan approved instantly by submitting your address proof, ID, and a cancelled cheque. The customers are given a Bajaj Finserv EMI Network Card, which they can use to buy their next smartphone. Just a simple KYC needs to be undertaken. You just need to select the phone you want along with a suitable EMI option. The Bajaj Finserv EMI card can be acquired at Rs. 399. The customer can make a purchase at his nearest Bajaj Finserv partner store by swiping the EMI Network Card, or simply contact any of Bajaj Finserv's representatives to learn about in-store financing. Also, payment details can be checked on Experia, Bajaj Finserv's customer portal.